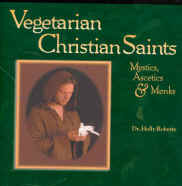 Vegetarian Christian Saints: Mystics, Ascetics and Monks by Dr. Holly Roberts brings a much-needed, refreshing realization concerning true Christianity – not the popular, high-jacked version that’s widely accepted nowadays. The lives of these earlier Christians exemplify what true Christianity is really about. They set an example that perhaps is more important in this world now than ever before. 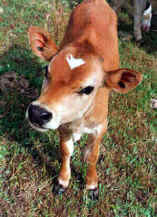 People need to learn to love God and the whole of His creation (humans, animals, and the environment), and do everything in our power to care for it. The saints in this book give us insight into how to accomplish this. Dr. Holly Roberts has been both a physician and a vegetarian for over a quarter of a century. She hopes that by sharing the information within this book, she will add support to the reality that concern for the welfare of all beings has been an integral part of Christianity since its earliest roots. 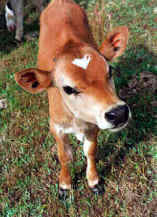 Her other books include Your Vegetarian Pregnancy, a thoughtful medical guide for those seeking to create life without harming any weaker beings.